Beth Marlis currently serves as Vice President at Musicians Institute in Hollywood and also as a veteran GIT faculty member at the college (since 1987). She was formerly the Director of GIT (2000-2009) and has had a long career as an LA area “sideman” in jazz and R&B genres. As a music educator, she is the co-author of two best-selling guitar improvisation instructional books for Hal Leonard/MI Press. 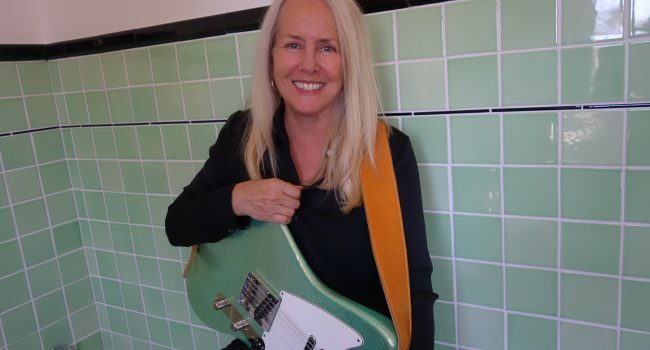 She has personally taught over 8,000 music students and conducted numerous clinics on guitar across the US and Japan. She has also served as both an interviewer, panelist, and moderator for panels on the music industry and music education. Beth also serves on various boards and advisory councils including The Recording Academy, Little Kids Rock, Notes for Notes, Japan House, the Hollywood Chamber of Commerce and the Musicians Foundation. Beth received her Master’s Degree in Studio Jazz Guitar Performance from USC.